​Our condominium-apartment building is also easily accessible via nearby public transportation, such as jeepneys and taxis. 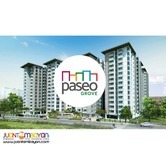 Modern zen-type fully furnished service condominium-apartments in Cebu City. Whether you prefer a one, two or three bedroom unit, the fully-furnished residential suites at Santoni's Place offer stylish design, luxury, and comfort in a very convenient location right in the center of Cebu City.